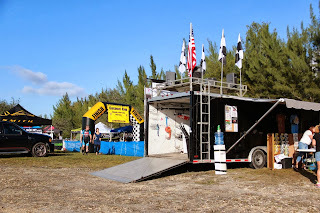 Eric G here with our race report for the 3rd round of the Coconut Cup Series. The race took place at Amelia Earhart Park in Miami, one of the fastest trails in the series. The Amelia Trail Crew led by the LaRue Family works hard to keep the trail system groomed and in pristine conditions year round. 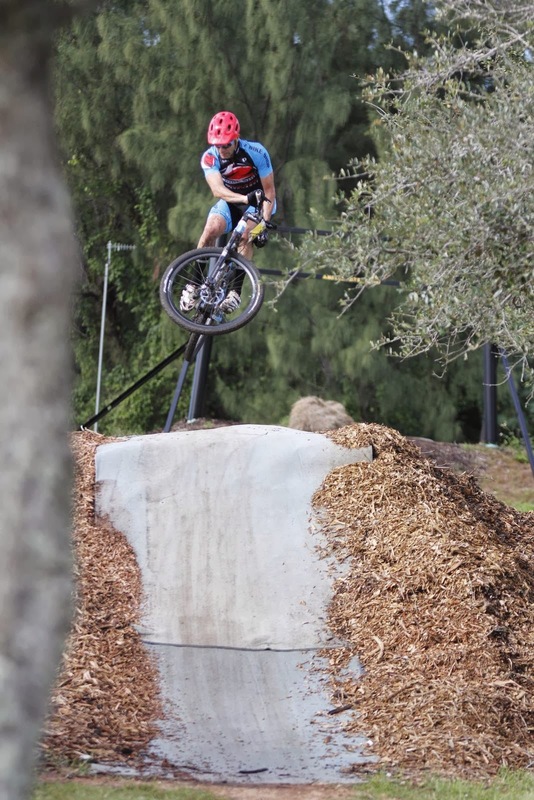 For their efforts the park has become one of the more popular trails in South Florida, with berms, doubles and flow that give the park almost the feeling of being in a giant BMX course. Traction and speeds are high due to perfect mixture of carpet and dirt, yet kept balanced with some distinct climbing sections. Throw in some creative obstacles built of storage containers and even a Trailer from a Semi-Truck, and the park truly stands alone among the rest. 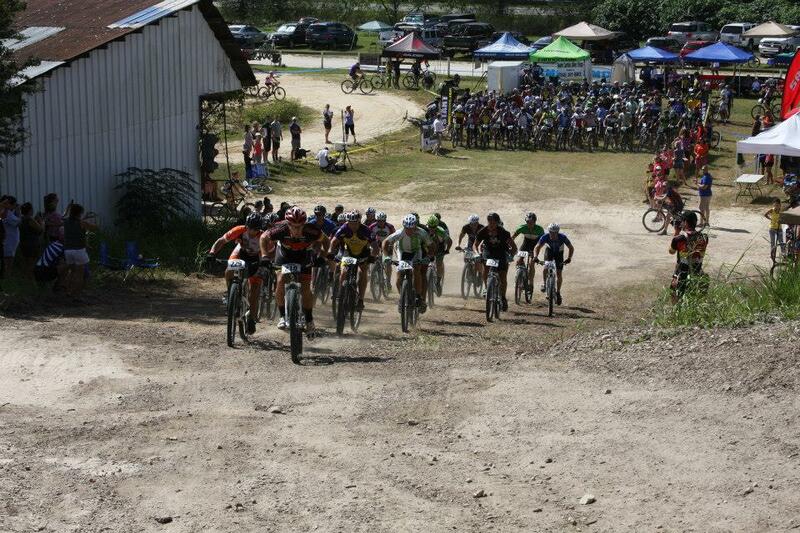 I'd start things off in the XC2-30+ class with 20 riders at the line, the biggest class I've had all season. My form had been slightly coming around after a terrible start and I was hoping of putting a complete race in at home. At the start I got clipped in and rolling quickly and had my best start of the series, then proceeded to get all but thrown off the starting climb over a bridge. I managed to stay on my feet but was at the very back of the pack, something I'd grown too familiar with. I was feeling good though and pressed away in chase. By the end of lap 1, despite another crash, I'd made up 4 positions and had two more in my sights. I was happy with this and prepared to pick up the pace and gain more positions when I burped a front tire and had to stop to air it up. I got it aired up quickly but lost two positions. I set off in chase when the rains began. The course became even more slippery but I continued to chase by the end of lap 2 I'd regained my lost places and set off in chase of anyone else. That would be all the spots I'd gain though. While I closed down on another rider, I was still over a minute behind and couldn't make up the ground. I wound up in 16th with the most entertaining race I've had in this difficult season. I had more in the legs though so despite the luck, I'm optimistic about the rest of the season. 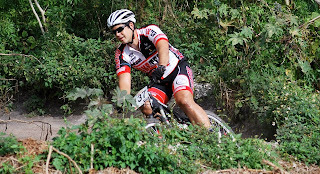 Eric N would follow up in the XC3-30+ class later in the day. Typical for his class, he was up against 28 other riders. The earlier rains made the start line a muddy mess. When the whistle blew, Eric had a promising start, but the muck from the start line clogged up his cleats so he couldn't get rolling as fast as he'd hoped. Approaching the first climb, he was met with a bottleneck and forced off the bike to push up and then resume the chase. When the dust, rather, muck settled, he was sitting in the high teens and giving chase. As the first lap wore on he picked off riders as he could and came around in 11th with three other riders. 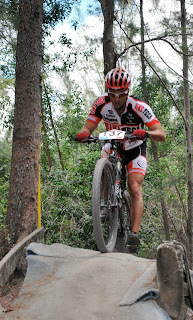 At the start of the 2nd lap he made a move and gained two more positions leading into the singletrack. He was now in 9th, with two more riders within reach. After a season marred with mechanicals, he was having the his best race of the year. Once again though he learned that things can go from good to bad quickly. Entering a muddy techincal section, he carried some speed into a paver that was hidden under the muck which punctured his tire. Between the grime and the surprise underneath, the tire damage was bad enough where his sealant wouldn't fix the leak and he was forced to retire. It's been a tough season for Eric, but his form is looking good and hopefully he can leave the bad luck behind in 2013 as we start again next year. On to the Pro/Expert race! As the Coconut Cup is smaller in attendance, Gone Riding has changed things up for the Coconut Cup, combining the Pro/19-29 & 30-30 Expert classes to create a "Superclass" and kick up the competition. The dream match-up of the best in the younger Expert fields was going to happen today! Seasoned Pro/Experts such as Bob McCarty, Alex Zambrana and Fillipo Barbieri would face the likes of series regulars Bret Whitman, Tom Mutch and Samuel Mejia for the first time head to head! At the start, Zambrana would go for his typical leg ripping start and go for the holeshot, but would be challenged and ultimately beat to the inside line by Howard Mose, one of the racers new to the mix! While the competition was tight, McCarty stood out from the class, putting down the fastest lap of the day, and building a nearly 1 minute lead on the field at the first lap. Allison Anjos would also get away from the field and come though 2nd with Mose, Bala Almeida and Mejia giving chase. The 2nd and 3rd lap rains seemed to shake things up and Mose was able to pull away from his partners heading into the last lap. The last lap provided quite the interesting result though with Tom Mutch, who was in 9th after the first lap, clawing back and put down his 2nd fastest lap and gained 5 places as the race closed to finish in 4th on the final podium spot on the day. While McCarty, Anjos and Mose claimed the Top 3 finishing mostly alone, Tom seemed to hold his own during the adverse conditions and charged it at the end once the rains stopped. Tactical racing at it's finest! Well that wraps up our 2013 races! It's been an up and down year but fun nonetheless. Our Season wraps up in early 2014 with 5 events including the Amelia 69 and remaining Coconut Cup rounds. We thank everyone for following along with us and hoped you enjoyed the reports. We'd like to thank all our sponsors as always such as Cytomax, GoPro, Magura, Vredestein, ESI Grips, Rudy Project, Audioworks and of course our biggest thanks to Bike Tech, their support allows us to do what we love year round. Thanks again for following along with us and enjoy some of the pictures from the race weekend. Eric G out! Been a great 2013 hanging with the Bike Tech crew! Aaand we're back! In the middle of 5 race weekends in a row, the Race Reports have been tough to come by, but we're back on a roll and here's the report for FSC #8 in Alva! After a small showing of just myself (Eric G) at FSC #7 in Lakeland, Alex and Eric N joined up in Alva for the penultimate round, of the FSC. The weekend also doubled up as round 2 of the Coconut Cup, boosting the total participants with an influx of South Florida racers. The race loop was one of the fastest we've seen all season, with full gas, paper flat, winding, hard pack sections, ultra tight canopy singletrack and off camber roller coasters waiting for the racers. Top it off with a distance of just about 10 miles and racers were going to be in for a long day. Eric N and Alex were back after missing the last event. 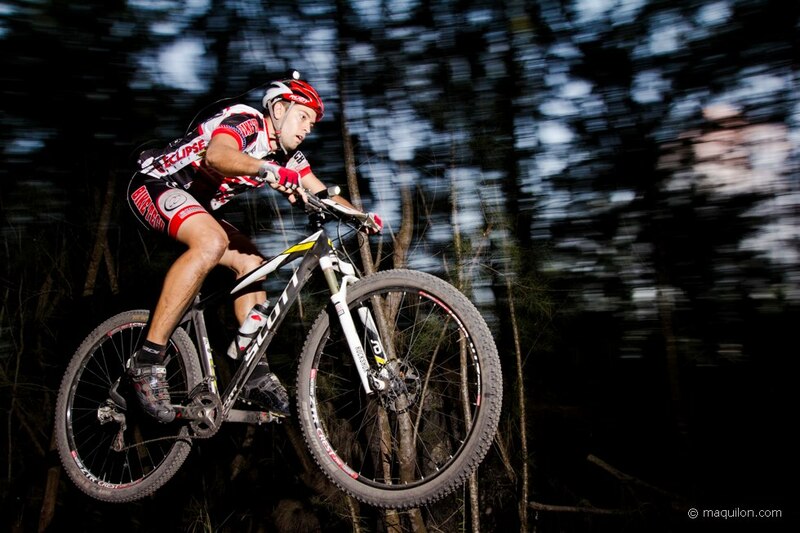 Eric was sporting his new Scott Scale 700 RC which gave him newfound prowess in the technical sections. Alex meanwhile was wearing his best Movember facial hair, going for a "Lemmy" look. Eric would be up in XC3 30+ against 27 racers. After a solid start in the low teens, Eric's handlebars decided his new bike was behaving too well and decided to spin free at the clamp, nearly throwing Eric over the bars. He scrambled to get his torx bolts tightened then got back to chasing. Unfortunately working under such conditions doesn't usually result in accurate work and the bars would come loose on him two more times in his first lap!! Ultimately he got the bar tightened down enough but the damage was done. He dropped down to just about last in his class. He set back on a furious chase to test his legs and continue testing the new bike. At the end of the reduced 2nd lap, he'd put down a personal flyer and made up about 5 positions, finishing 21st on the day. Alex was up next in the competitive XC3 40+ class. After the dust settled at the start, Alex was sitting in a train of about 8 riders in the mid teens all within a minute of each other much of the first lap. He too would suffer some misfortune with a rogue shrub wrapping itself into his rear wheel, all but practically locking up his drive train. While he struggled for a few minutes to free it up he set back off in chase. The class is truly competitive and after just a few moments he was down to the mid 20s. He managed to recover a few places but ultimately lost too much time with the mechanical to recover, and finished 22nd on the day. Earlier in the morning I was up with the XC2 30+ class. 18 racers lined up and off we went. It's been a tough year so far between DNFs and generally lacking form to compete in the new class, but things have been coming around lately. 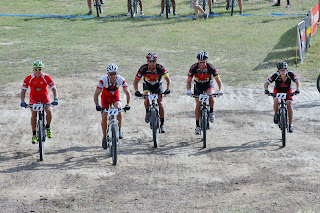 Through the fast flat start I was hanging in the paceline for the first time all season. As gaps started forming I was feeling lively enough and made a few passes to chase the pulling group. 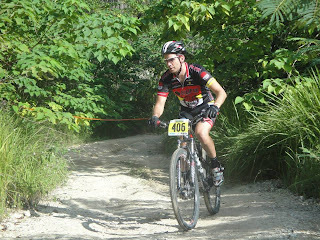 By the time we hit the singletrack I was connected to the tail end and actually in front of about 4 racers. As the first lap continued I settled into my own pace but still had the advantage on some chasers. This was the first time all year I could think about race strategy and I was loving it. Nearing the end of the first lap though I clipped my bars and took an absolute flyer, landing solidly on my right side and knocking the wind out of me. As I struggled to get out of the way of the chasers, it took me a few minutes to recompose myself. By the time I got rolling back up to speed I'd lost 2 spots and a lot of time. As I set off in chase, I saw one rider from my class at what I thought was in reach. Again, after a tough season, I was motivated to just be able to chase someone. 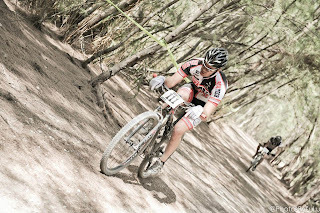 The race time and pace is still a challenge to me though and found myself losing pace on the 2nd lap. Nearing about 10 minutes to go I was cramping and just trying to hold off the gap I had on whoever was left in my class. I managed to fight through and finish 15th on the day. I was happy with the result just on the fact that I was able to compete again. On to the Pro report! After dominating 4 of the fist 6 events, finishing 2nd in the other two, Bob McCarty had a healthy series lead in the overall standings. But after a season low 4th place in Lakeland, he surely was looking to get back to his winning ways. Fellow Pro-XCT racer Drew Edsall would be in attendance as well (Florida is usually his offseason home) looking to follow up on his commanding win at Lakeland. Pro/Expert regulars such as Martin Cox and Alex Meucci were in attendance as well and surely would make it an interesting day. At the start the men were all business and set off at a blazing pace. Coming off his NUE campaign, Edsall has a monster base and set off on a blistering lap, distancing himself at one of this "Home Turf" trails by just over a minute on the first lap. McCarty would lead a trio including Cox and Meucci in chase. He'd set off on his own in chase of Edsall, dispatching of his partners and closing the gap down to just about 30 seconds with half a lap to go. Edsall though would finish strong, outpacing McCarty and the others to take the win by nearly a minute. McCarty would take 2nd alone and Cox would round out the podium comfortably in 3rd. It was a great event and the Mudcutters Club that maintain the Alva trail did a fabulous job setting up the race course. 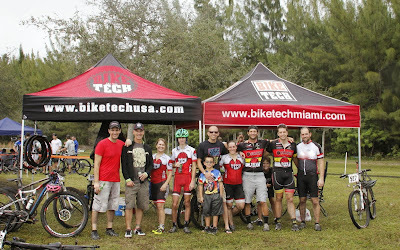 We want to thank Bike Tech as always for the amazing support all season long. Our last stop for 2013 is at home for Round 3 of the Coconut Cup. Enjoy the pictures below and check back next week for our last update of the year! Halfway through the season, the FSC headed down south to Sunrise for race #5 at Markham park. 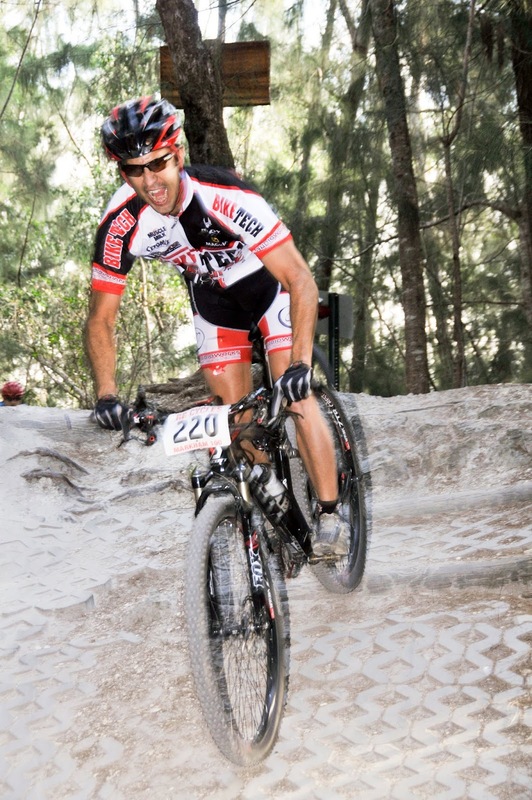 The race also doubles up as the start of the Coconut Cup series, which focuses primarily on the South Florida trails. 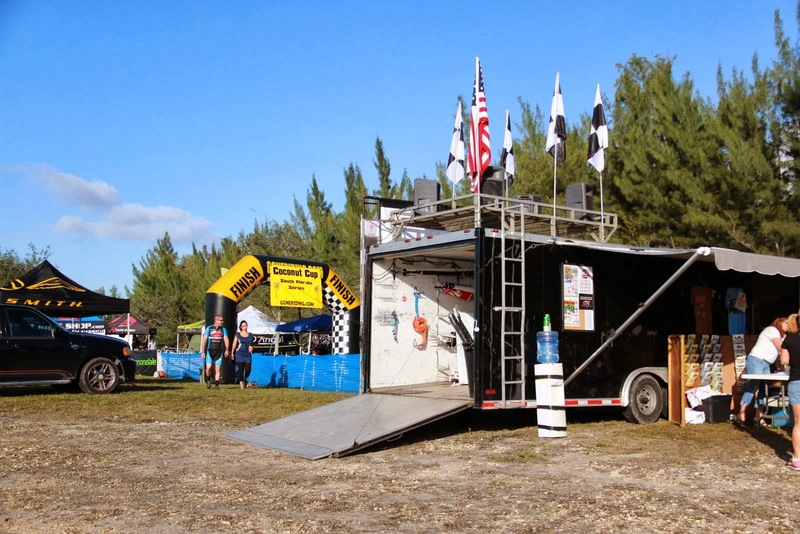 Racers were treated with a nice change in the typically hot South Florida weather, with the temperatures starting off in the 70s for the first time in the area this year.. The trail maintenance crew at Markham has been doing a great job of changing the race loop around each race, all but eliminating an home course advantage. Other than recognizing certain sections, the layout had racers turned around enough where everyone would be learning it as they arrived. Participating this weekend for us would be Eric Norris, and myself. Eric N was unfortunately on a borrowed bike this weekend and would spend his Saturday prepping it and getting used to the ride. 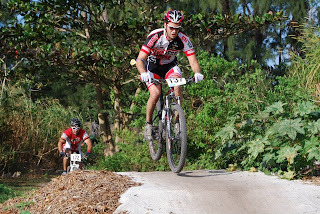 I opted to mix it up in the Saturday Short Track (STXC) event to see how I'd be feeling. After a miserable Ocala event, I made a change in my fitting and had noticed and improvement over recent weeks. This would be a great test. For those unfamiliar with STXC, it's an absolute all out effort for about 20 minutes. Racers all start together, mixed classes and race a simplified loop with little singletrack and mostly wide open doubletrack. Speeds are high and competition is fierce and this wasn't any different. After a decent start and a few higher than usual surges, I finished safely, satisfied with my improving form. Sunday came around and the XC2 30+ class was near 30 racers. The whistle blew and I started well. For the first time all year I wasn't getting blown away on the fast flat start. When we hit the singletrack I was in the low teens and feeling confident. I actually made a few passes and was trying to ride smart. About 20 minutes into lap 1 though, I had a catastrophic failure of my drivetrain. My cassette (back gears) simply fell apart at one of the carriers, leaving me with my most common range of gears unusable. My chain also kinked up, so I couldn't even crawl back to the trailhead for repairs. My race was done and the walk of shame back to the Start line was a long one. 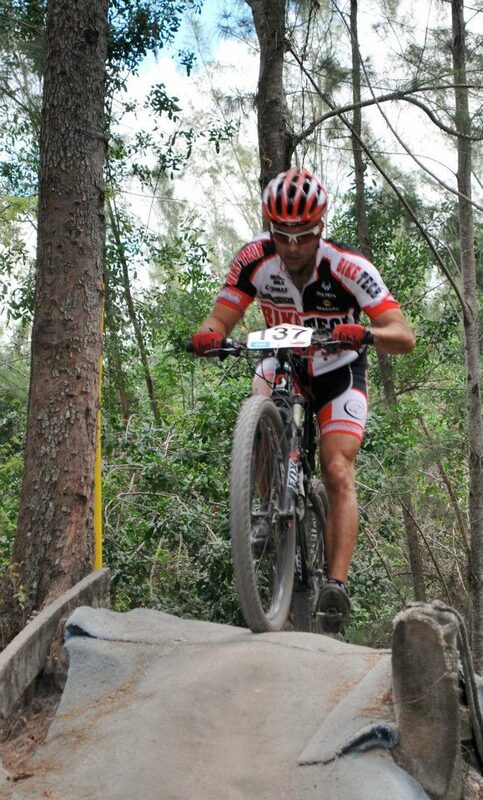 out over the flat open start, he made his move and gained ground, entering the singletrack also in the low teens. His luck though would be as bad as mine. For the second race in a row, even on a different bike, he had saddle issues. The clamp would be damaged and not keep the saddle in place. Try as he may with a multitool, any weight or impact would cause a exreme tilt of the saddle. After a few attempts to get moving and back in the race, he called it a day midway through lap one. Talk about tough times for the team recently. Ok, enough of our bad luck stories, let's get to the fastest guys in the State with the Pro/Expert 19-29 class. The field was smaller this time out, but the competition was still tight. Series Points leader Bob McCarty would take the early lead at lap 1, but would be pressured by Shawn Smith who stayed on his heels. Trailing less than 30 seconds behind them was Alex Zambrana, yes THE Alex Zambrana, who popularized the #zambranaing hashtag made famous on Facebook. The Flying Brazilian duo of Filipo Barbieri and Bala Almeida would work together to stay within a minute of third. While McCarty would slightly stretch his lead by lap three over Smith, he was still less than a minute away when Lady Luck would disappoint him. After fighting though and finishing on the podium despite not having a SADDLE for the last 2 laps in race #4, Smith would again have back luck and get a flat near the end of the 3rd lap. While trying to fix the situation quickly, his valve stem broke from his wheel. At that moment, he was passed by Zambrana and with no tube available, he walked it back to the pits and called it a day. Now was the opportunity for one of the remaining racers to reach the podium and Almeida would be the one to benefit. With Barbieri suffering through cramps mid way through the race, Almeida would pull away to finish a solo 3rd on the day and Barbieri bravely fighting through the cramps and finishing 4th. The two were also rewarded with their results propelling them to 2nd and 3rd overall in the series Midway through the year. Smith's DNF drops him to 4th. While there is still a drop and a makeup race available in the remaining races, the overall series standings been shaken up and should make the remaining events exciting to the very end! So that's our report for the home race. Didn't get the "home cookin'" we'd hoped for but won't dwell on it too long. FSC#6 at San Felasco takes place the week after so we'll be back in action looking to improve on our luck! 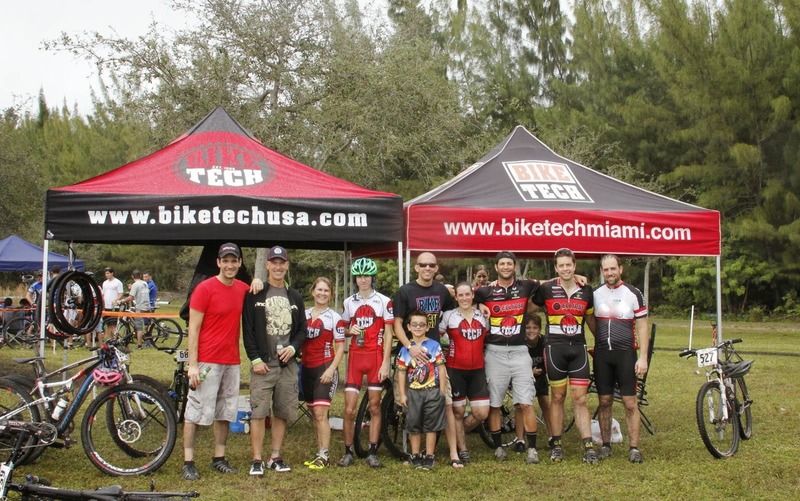 Thanks as always to our title sponsor Bike Tech! 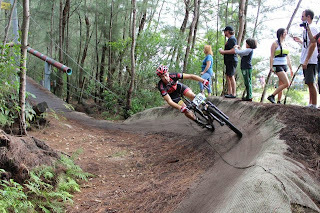 Went back to pictures this time so enjoy the action from the Short track and XC events. Grab them if you're in there and don't' forget to check back with us next week for more reports! 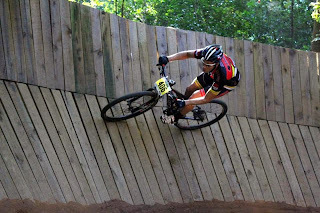 Hardrock Cycle Park. This is the place where legends come from. A place that I'd only heard "used" to be one of the hardest places in Florida to ride. Chiseled out of an old limestone quarry, groomed by motocrossers and Jeeps, and sadly, closed to Mountain Biking over a decade ago. 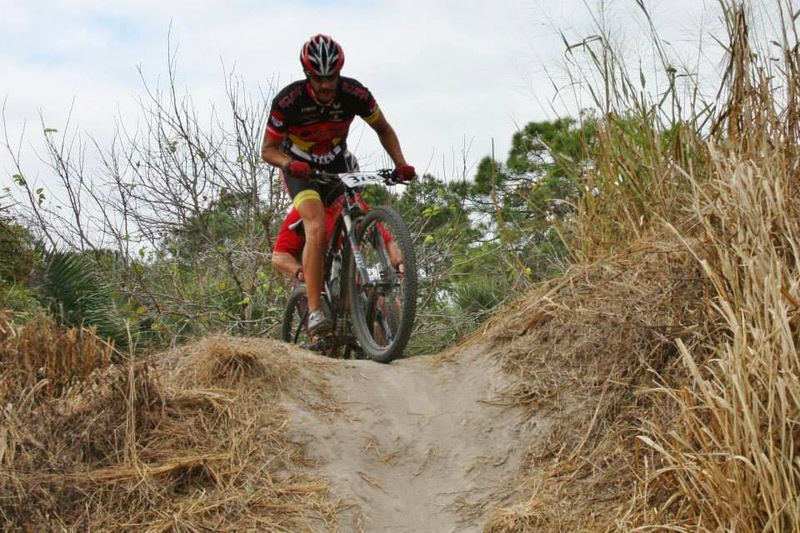 However, Dave Berger and the great folks over at Gone Riding used their relationship with the land owners to give the FSC a chance to return to the former mecca of Florida MTB. 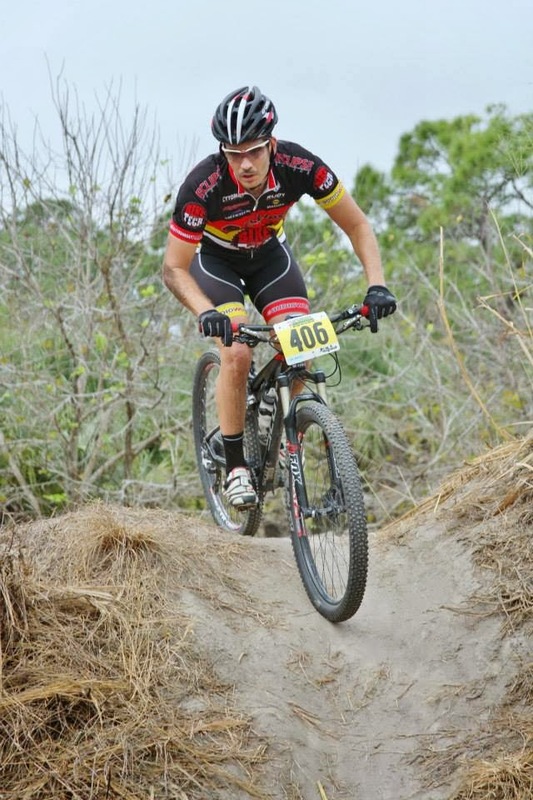 So without further ado, Eric G here with our race report for FSC #3 Ocala! As for race day it was tough going for us. I had a DNF in XC2-30+ after taking a tumble and banging my knee. Got rolling quickly but the steep climbing was absolutely painful on my knee so I had to call it a day after a lap. Eric N had a great start, taking the holeshot in the XC3-30+ class. However midway through the lap, his saddle shifted on him costing him some time. Despite coming though in 11th after the first lap, the saddle issue got even worse, forcing him to stop on the course, costing him more positions. He ultimately crossed the line in 17th. Alex had a rough going in XC3-40+ from the start. 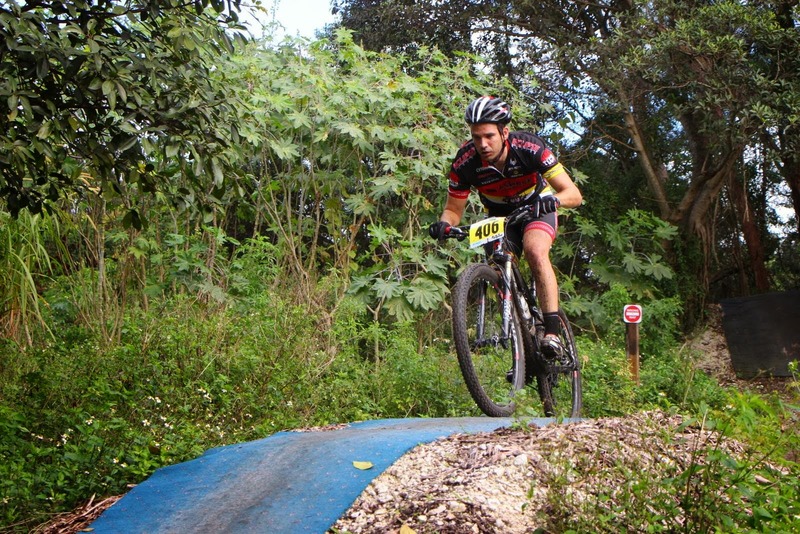 Dangling in no mans land throughout the race, he had a mostly uneventful 18th place finish. We'll take the Top 20s, but course sure did a number on us. The Pro race was exciting till the end. Bob McCarty put on a display and rocketed off right from the start. After lap one, he had a 30 second gap, but had a strong group in chase. Victor Alber, phenom Alex Meucci, and Shawn Smith were riding together trying to close the gap. Meucci would try to do the work on his own and take a flyer on lap two, gapping the Super Cool Bike Shop duo of Alber and Smith, but couldn't gain ground on McCarty, who would extend his lead. The effort would take it's toll though and Alber would benefit. Taking his own flyer on lap three, Alber would close the gap to Meucci and then pull away on lap four. While McCarty took the win, Alber would take 2nd and Meucci would take 3rd. Rounding out the podium was Smith and teammate Martin Cox. 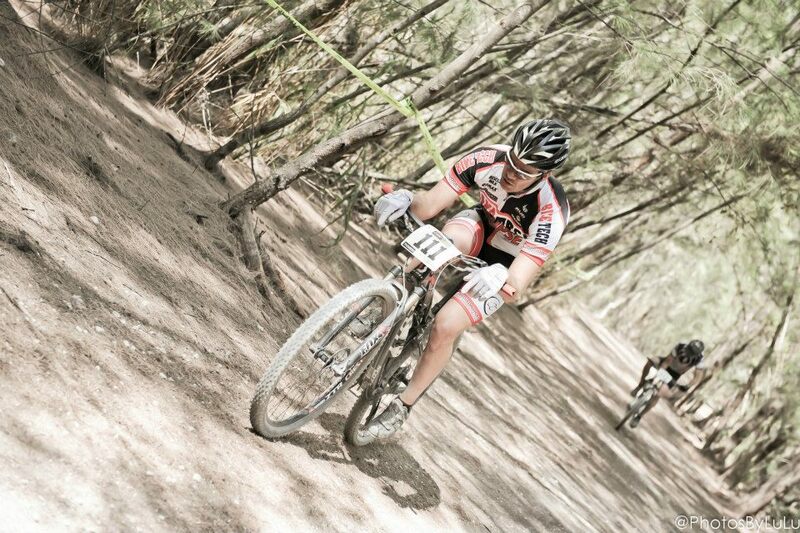 Despite the tough course and results it was a great weekend. We were able to get plenty of footage and put it all together to hopefully give a taste of what a race weekend is like for us in the FSC. Thanks as always to our our great sponsors at Bike Tech & Audioworks, as well as the additional support from Cytosport, Magura, Vredestein, ESI Grips, Rudy Project, & GoPro. No pictures this time but enjoy the video! 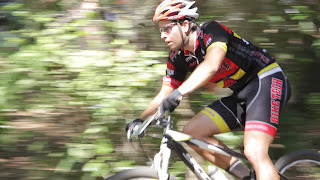 FSC #3 2013 Ocala from Eric Gonzalez on Vimeo. September is here and it seems like just yesterday the Coconut Season was wrapping up. 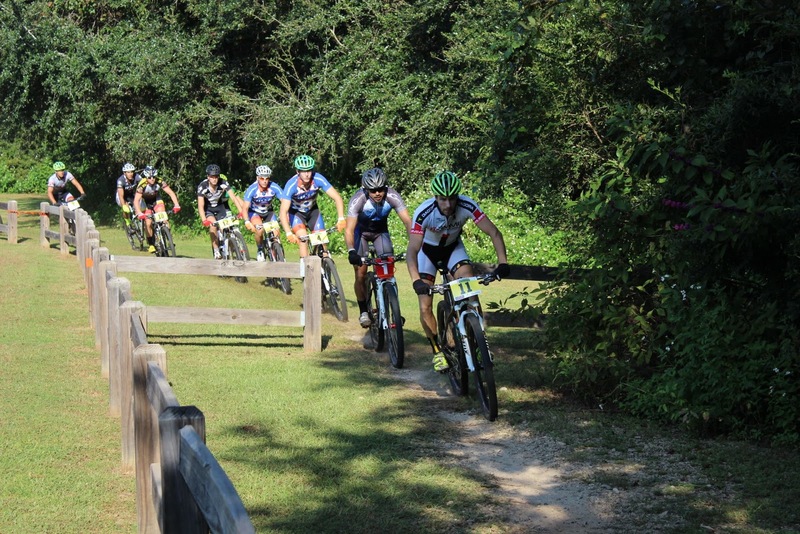 This weekend hundreds of racers in new uniforms, new bikes and full of new confidence from working hard over the Summer, converged at Tom Brown Park in Tallahassee for the start of another FSC Season. Eric G here with our race report of the kickoff event of the 2013/14 Season! Making the trip for us would be Eric N, Alex, and myself. 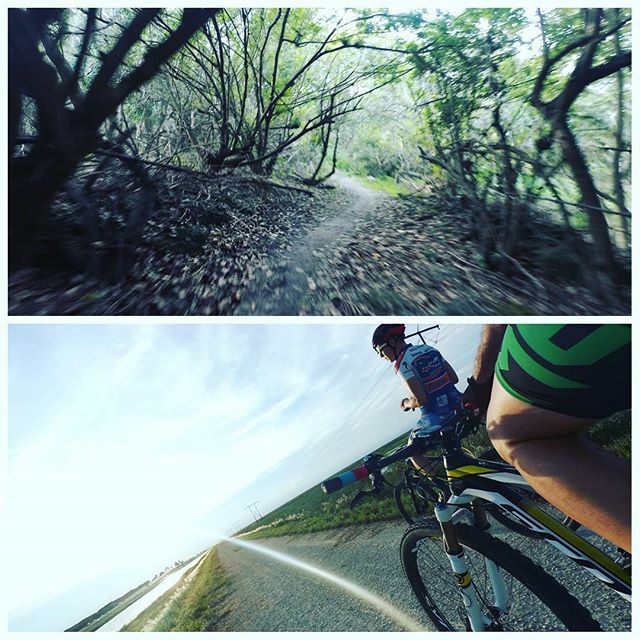 Eric N. (XC3-30+) and I (XC2-30+) would be changing classes this season so we were both jumping into the unknown. Alex returned to XC3-40+ with a bit of form after a solid Summer of work. Eric G riding "The Wall"
The course would be a little different from recent years with an added flat loop to stretch out the legs at the start. Gone was the Kudzilla downhill section unfortunately. 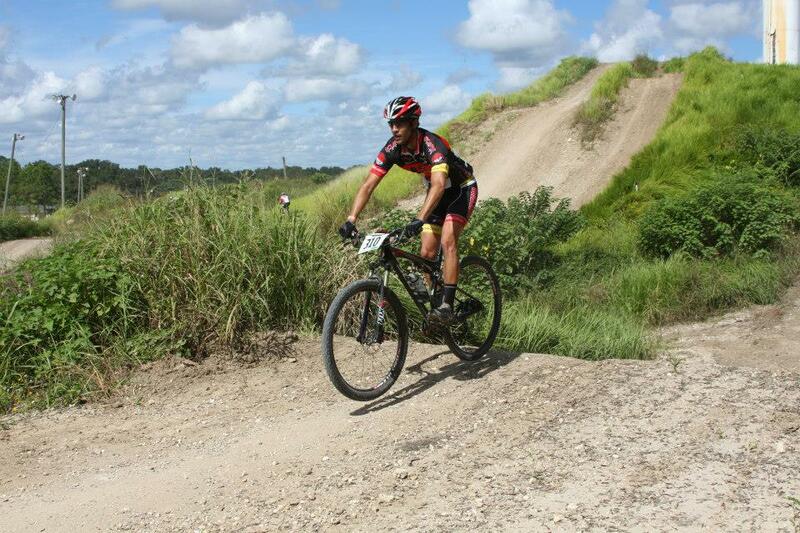 Nevertheless the course was challenging with plenty of elevation changes mixed in with fast single-track. The racing would start right away, with an ITT scheduled for Saturday afternoon, giving racers the opportunity to burn some extra energy before the big race. None of us were completely familiar with the course so we treated the ITT as a hard effort learning loop of the shortened course. The ITT winner on the day would be last year's FSC Champion, Bob McCarty. Race day was here and the weather was a little warm, but great for a race. I lined up in my new class pretty calm. Admittedly my Summer training was a bit derailed by a back injury so I knew this was going to be more of a learning race. 3 laps at race pace was still a mystery to me. If I could stay somewhat consistent on my lap times I'd be happy. I'll cut to the chase. Had a rough start, got pinched at the whistle and almost shoved into a tree putting me last into the trails. Perfect actually! I could just try to keep my own pace. I stayed comfortably with a group of four on the first lap. Got a little disconnected on lap two and kept my pace. Lap three though...ohhh lap three hurt. It really took all I could to finish and my pace showed it. My saving grace was not finishing last. First Sport race in the books. Can only get better from here hopefully! Eric and Alex had an adventurous start in their wave. Seems a disgruntled local wasn't too happy with a race at his trails and took the liberty of rerouting some of the course markings. Racers in the first few classes would wind up turning the the wrong direction a few times before the issue was figured out. Eric and Alex were both affected and lost some of the momentum from their decent starts. After the mayhem settled down, Eric would battle back to gain two spots on his last lap, ending 13th on the day. Alex would settle in to a personal battle for much of the race. Admittedly tired from the early course problems, it took all he could to hold off his chaser in a sprint to the finish, ending 19th on the day. Now what everyone really wants to hear about, the Pro/Expert race! Fresh off their Pro XCT campaign, Bob McCarty and Ryan Woodall were both present and looking to continue their battles from last season. McCarty was the Series Champion, but Woodall was the only man to beat him in Head to Head match ups. Additional Florida strongmen included Shawn Smith, Martin Cox who can always put up a fight with the best. Newcomer to the class, young phenom Alex Meucci would also make his debut as an expert in the series. In total 13 of Florida's fastest would take the line for the top class. by about 10 seconds, with McCarty rolling in 2nd. Teammates Cox and Smith would keep the chase going but ultimately battle it out for 3rd, with Smith getting away on the final lap. Earl Bradley (Sorry, don't know much about his race) would round out the podium for 5th. First FSC race is in the books. Not many pics this time but we got a video together with bigger production plans for the next race. Follow along with us the rest of the season for additional coverage!! Enjoy the pics and video! FSC #1 2013 Tallahassee from Eric Gonzalez on Vimeo. 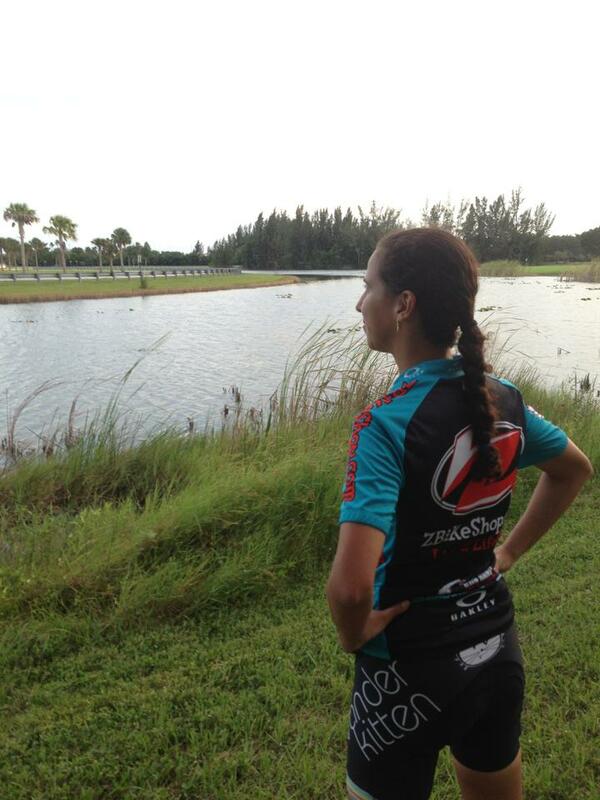 Zambranaing - The latest craze in the cycling community!!! As the summer wraps up and final preparations have begun for the 2013 FSC, we'd like to take time to thank our sponsors for this year! First we greatly thank Bike Tech for continuing their support with us. 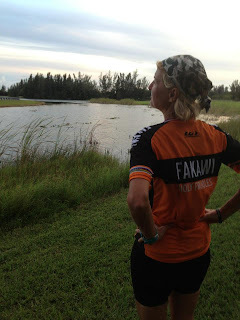 One of the truly complete bike shops in South Florida has helped us tremendously with everything from bicycles to supplies to race day support. 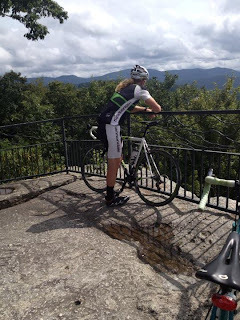 Racer or not, for your cycling needs, pay our friends at Bike Tech a visit. 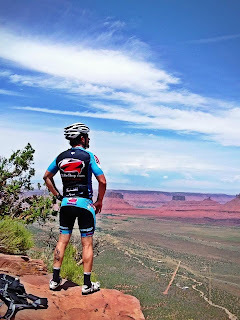 With the best in Scott, Specialized, Cannondale, Niner and several other top brands, they'll make sure to put you on the gear that's right for you! Audioworks also returns as a major sponsor for us this season. Specializing in Custom Audio, Video, & Lighting Systems, Audioworks is our longest standing sponsor and we greatly appreciate their support. 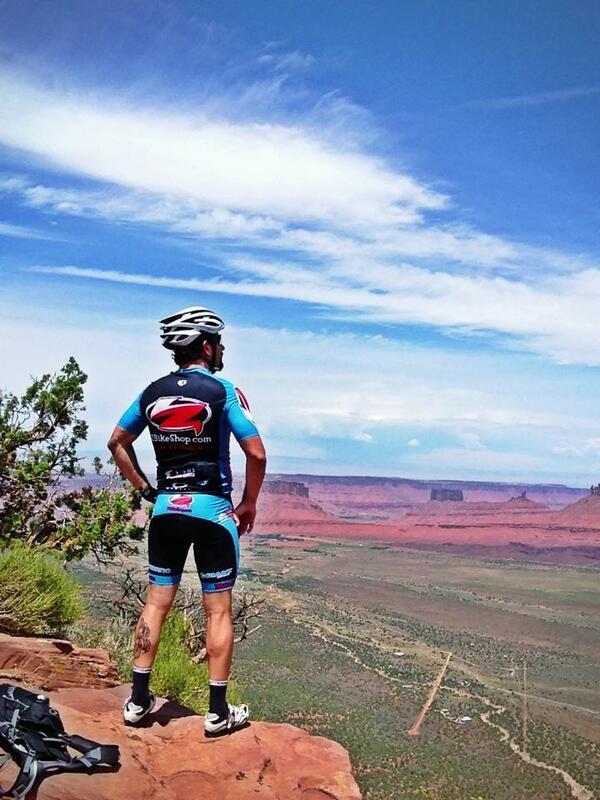 Additional sponsors include Rudy Project, offering the best in glasses and helmets. The photochromic lenses are a team favorite! Cytomax & Musclemilk provide our nutritional needs. 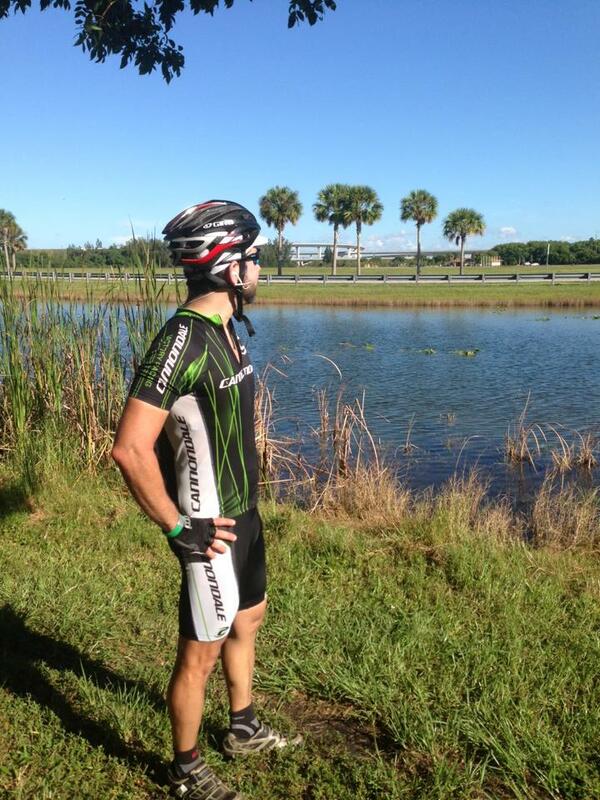 It's hot in Florida and Cytomax has certainly helped keep the cramps away!! Magura is still helping us slow down when we need to with their great MT8 brakes, and now has brought on the Vredestein Tire line to keep us rolling. Having tested the tires over the summer, they provide a wide line of patterns, perfect for all the conditions that we will be facing this season. Last but most certainly not least, ESI Grips will help us stay in control this season, not only providing comfortable grips, but color customizeable style. ESI Grips will be on all our bars! As we begin our fifth season, we look forward to another great year and give our supporters and fans some great reports to follow along with us! Had some fun with our new GoPro recently at Virginia Key. Here's some of the best parts of the trail system! 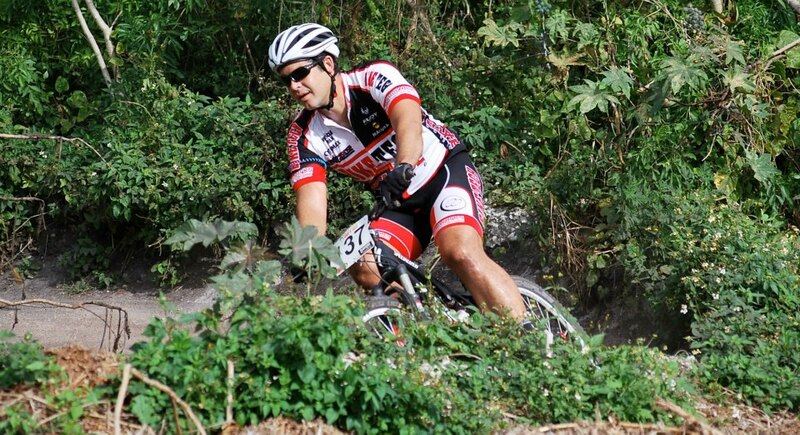 Virginia Key MTB Trail Highlights from Eric Gonzalez on Vimeo. Summer Update! 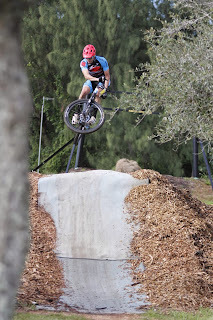 News and Weston MTB Classic Report! 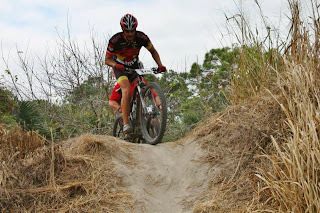 Eric G here, back with the latest in the South Florida MTB scene! Been a while since our last report so there's plenty of info to update on. In team news, we're excited to announce Bike Tech has continued it's support as our Primary Sponsor for 2013-2014! They've been great to us and really getting back to the MTB community down here. We're glad to have the support of a great shop like them. We've also picked up a few more sponsors in ESI Grips and Vredestein Tires. We'll provide full sponsor details for the upcoming season in another update soon! As a team we've mostly laid low since the first round of the US Cup/SERC Series in March. Days and weekends are spent mostly training and working on the skills, while throwing in some occasional races. 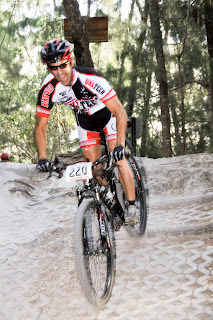 Julio, Alex and Eric Norris had great success in the kickoff race of the Down2Earth Full Moon series, each landing on a podium spot and Alex actually leads his class after 2 events. Appearances at the Fakawi 50 and 40 Miles of Virginia Key have been on the schedule as well. 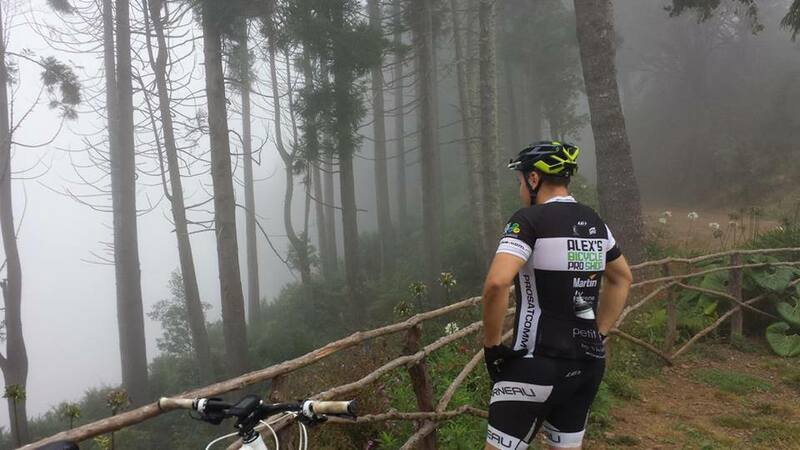 As for me, unfortunately I'm recovering from a back injury that has me off the bike for a few weeks now. It's not fun, but hopefully I'll heal up soon to resume training. 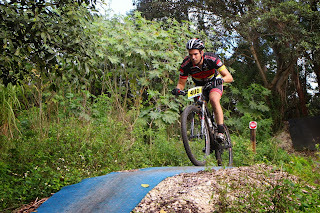 I have gotten better enough to at least pedal on my bike again, so I dusted off the trust Spark this weekend and made an appearance at the Inaugural Weston MTB Classic, a 40 mile race at Markham park. 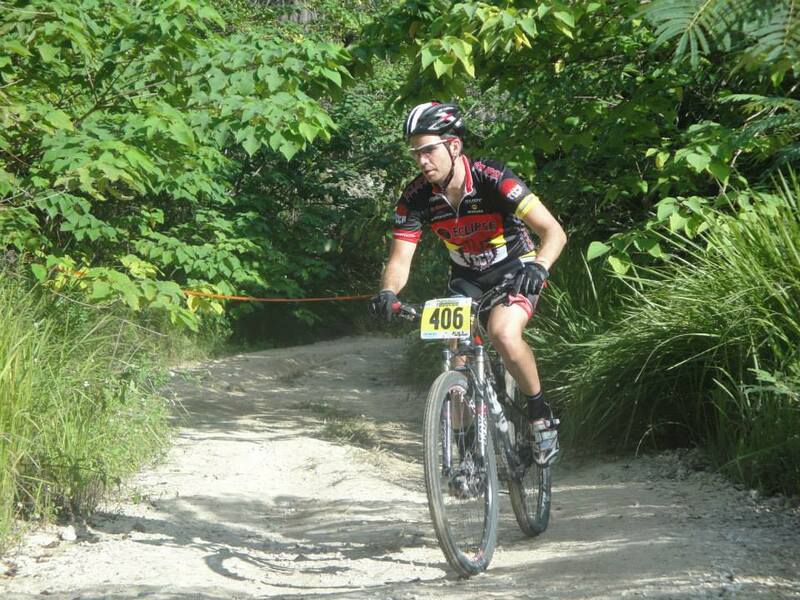 6 weeks off the bike and a herniated disc means there was no way I was racing. Instead I'd have some fun behind the camera and chase the racers around as best I could. I changed things up and came in with the goal of getting enough video to put a nice highlight show together. As for the race Bob McCarty pulled away about half way though the 8 lap event to take the Overall win. Allison Anjos and Bala Almeida would keep it close throughout the day with Allison pulling away for 2nd on the last lap. Thanks for following along with us. Check out the video below for the highlights! 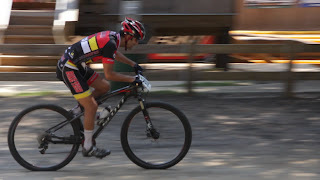 Weston MTB Classic 2013 from Eric Gonzalez on Vimeo. Time to see the best of the best back in action this weekend! 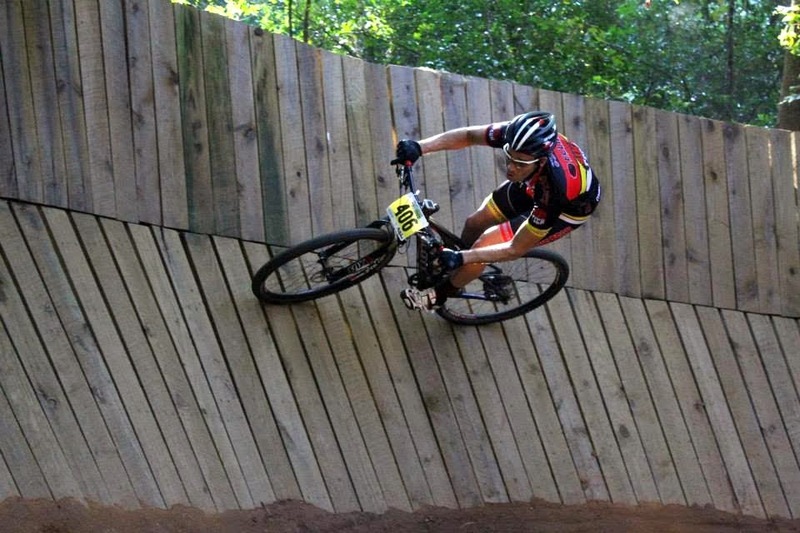 UCI MTB World Cup kicks off in Germany this weekend. Check out some super slo-mo action from last season. Come back this weekend for direct links to the action!! Check out highlights from Race #1 of the Pro XCT series!! Spring time fun is here!! While riders all over the country are just getting back on the bikes after a Winter break, the racing never really stops in Florida, one of the benefits of really only having two seasons down here. After the FSC/CC season finishes, focus changes to training and endurance races. In South Florida, the Markham 100 has become a local favorite. Eric G here with our race report for the Markham 100! Celebrating it's 10th year, the event had nearly 300 participants. Starting all at the same time, that's a lot of racers!!! The full team would be out for this event, Julio, Alex, Eric N, and myself. Each of us had a different strategy, but the same goal. FINISH THE RACE! A task that has been quite challenging in year's past. This would be no different. The course was considered more difficult than in years past, with reversed trails, and more climbs included in the 62 mile event. While considered a charity event, make no mistake, everyone is here to race. The rolling mass group start allows those with aspirations of victory to move up to the front and those just looking to finish to settle into their own pace early. We, well we were somewhere in the middle. I'm not much for patience at race starts so I tried to move up as best as possible. My efforts were unrewarded with a mix up at the start loop marking had most everyone briefly bunched up. By the time I got rolling again all my guys, and many others were ahead of me. Good for them, not so much for me. My misfortunes would continue for much of the event. Mechanical issues on the first two laps slowed me down. I knew Eric and Alex were ahead of me, but didn't know by how much. Having resolved my drivetrain issues I picked up the pace. Unfortunately leg cramps would settle in by lap 5. I survived till lap 7 and hit the cutoff time. I knew this was coming as I was lapped by eventual overall winner Bob McCarty for the second time. When I came through the finish I wasn't allowed to continue but was glad to make it as far as I did. Eric and Julio would also reach the 7 lap cutoff time and call it a day. It was the most successful day for all of us at this event. Alex meanwhile was having a great day. Steady pace and consistent rest stops kept him going and none of us could catch him. By the end of the day, he made it through the final lap cutoff time and pressed on. When it was all said and done he made it to the finish. 8 Laps. 62 Miles. A technical scoring issue didn't record the final time on his final lap. However his official end result was still a personal best 10th Place in Base Solo! Ultimately the event is a fund raiser to support the Markham Trail Building Fund so while it would have nice to have had a more accurate final result, we're still thrilled with his success and had a blast in general. The fun doesn't stop with the kickoff of the Full Moon series and the US Cup event in Santos in the next few weeks so stay tuned for more reports! Thanks for reading and enjoy some pictures from the event below! Pumping music, palm trees, beaches, cruise ships aren't exactly your typical environment to find a mountain bike race at. But when Gone Riding came down to Miami for Round 5 of the Coconut Cup in beautiful Key Biscayne, that's exactly what they and racers were treated to! 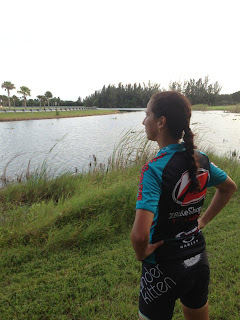 Eric G here with our race report for Coconut Cup #5 in Virginia Key. After a miserable result in CC #4 (couldn't muster up a race report for that one...) Alex, Julio and myself were eager to make amends at Virginia Key. 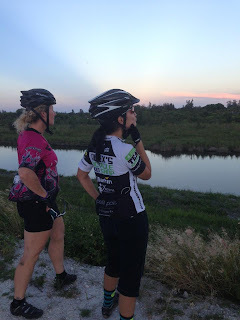 The trail is officially less than 2 years old but has a great maintenance crew in the Virginia Key Bicycle Club, that has spent countless hours in the last 3 years to turn what was all but abandoned City land, into a truly beautiful Mountain Bike destination in South Florida. From just over 4 miles on opening day, to just under 7 today (as of the latest trail opening in a few weeks) the park has grown with plenty to offer from Family friendly fire roads with ocean views, to technically challenging expert sections. Classic Rock fans will also appreciate the trail signs with great names such as Highway to Hell and War Pigs to name a few. 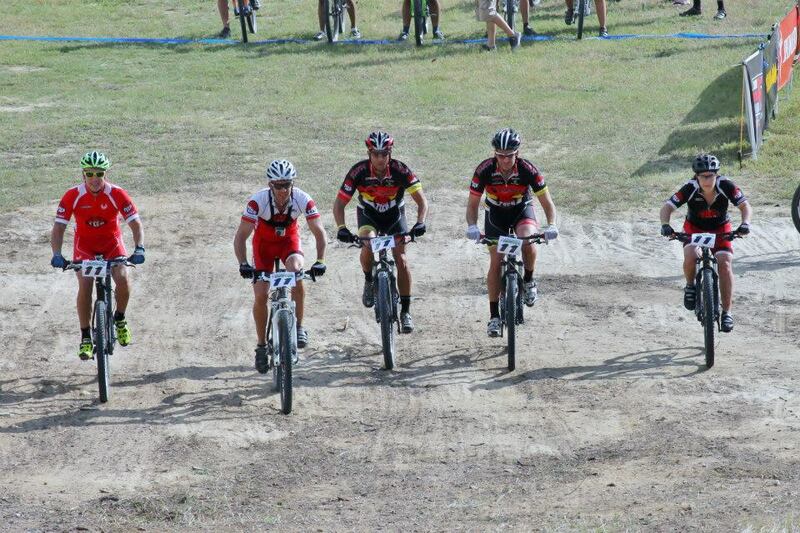 The XC3-30+ class was busy as usual with 35 racers at the line. Julio and I got decent starts and were both on the top half entering the first trail. I spent much of the first lap in a conveyor belt of positions. Passing one guy, getting passed by another several times until about the half way point of the first lap then settled in with 3 other racers that I'd be fighting the rest of the race. Julio meanwhile would get boxed in behind some traffic and lose a few positions early then chase back, putting tons of effort on the flats to get around as many people as possible. He'd come around lap 1 in 16th. Turns out I'd be in the battle for 10th place, with one rider just in front of me and two behind me. We were all always within bike lengths of each other. With about 3 trails left to go I'd lost sight of 10th, but managed to drop one of the chasers, so we were two. We made it down to the final War Pigs trail and I tried to give it a go. Slow and technical, if i could force a mistake by him, I'd likely keep the position to the end. He'd been sitting near my wheel for a few trails so I thought he might be holding back a bit. Probably smart on his end. My small attack didn't work and we came out of the steep final climb onto the long finishing stretch. I locked out the bike and gave it all I had! Wasn't enough this time though. I just got out dragged to the finish. Even had sat up and watched him go once he passed. Didn't have any punch left in my legs, but was still a fun ending. Came through in 12th which is the best on the season. Julio would keep fighting through the traffic and pick off two riders on the final lap. He had some pressure late in the final lap, but punched it again after the Yellow Brick Road trail to get away and come through just behind me in 14th on the day. Not done yet as Alex would be in the XC3 40+ class with 26 racers in his class. His start wouldn't be as clean and would actually tangle with a few riders early including one of our buddy's, Ivan de Rosa in the first lap. They both claimed it was the most polite accident in a race, but it was a race nonetheless. They'd both keep the pressure on one another enough to actually gain 4 positions each in the final lap. Again War Pigs would make a difference as Alex was able to get a small gap and hold it off down the final straight to cross the line in 12th just a few seconds ahead of Ivan. After missing much of the middle of the Coconut Cup series, it was his best result on the year. That's it for us for the Coconut Cup series and what we'll call our 2012-2013 season. It was our biggest season to date and we had a blast. We'll shift our focus to off season training and some upcoming Endurance races over the Summer to prepare for next year. Thanks to all of our sponsors especially Bike Tech for their great support all year long. Our rides from Scott and Specialized were amazing and really helped us along. Thanks for following along with our race reports and we hope you enjoy them with the pics. Keep checking back as we're hoping to add some product reviews to our regular stories. See you on the trails!! Happy new year everyone! 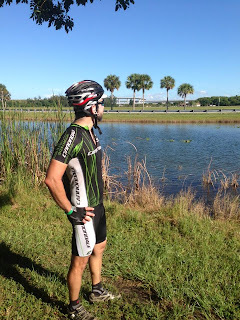 Eric G. here, excited to bring our first race report of 2013! We were up with a change of pace here, instead of the usual XC event, we participated in the 12 Hours of Amelia as a 4-Man Base Team. The course was 8.5 miles of fast, flowing, trails with tons of berms that only the Amelia Earhart MTB trails can provide. There was a great turnout with nearly 200 racers participating in all classes from 6 hour Solo to 12 Hour Team. To minimize the madness of so many racers starting together, Gone Riding would line the racers up for a LeMans style running start. Earlier in the week the team had decided it would be me to start off the race followed by Eric N, Julio and then Alex. Other than the running (which we all hate) we lined up everyone to be in the best position for their riding strength. Apparently my pension to start way too fast in races would be perfect for this. The plan was for me to keep up with the faster teams for 1 lap then hand it off so we could settle into a competitive pace. Early on was pretty fun as the stage was set in the first few laps. I didn't have the best run but found some sport riders to stick with and had a pretty solid lap. Mid-lap I tangled a little with a rider that tired to make too daring of a pass (riders behind me said it was a stupid move on his part) and lost a little time but still crossed the first lap in 6th place, with Team Pro-Tech just ahead of us. I swapped in the transition with Eric and told him to keep them close. He'd also lose a little time with a tangle with another rider and they'd build almost a minute lead. We told Julio to drill it and he sure did! He went in to DIESEL MODE and reeled in Pro-Tech and came through together with them sending off Alex to keep the pressure on. He'd come through with a 30 second lead and now we were in 5th! As it turned out we would continue to build on the gap and our consistent laps would start creeping us closer to the 4th and 3rd place teams. Attrition started to settle in to the other teams, so between losing riders and cramping, their pace was starting to slow. While it took most of the day, as the night was settling in at around 5pm, I was on my lap and passed two teams for position and we were now in 3rd! We thought we'd probably settle in there with 2nd place more than 5 minutes ahead, but two back to back slow laps for Team Bike Street USA suddenly had us in 2nd with about 90 minutes to go! Alex's favorite time to ride is at night and his night lap was actually his 2nd fastest on the day which gave us just under a minute gap. He tagged off to me and now the pressure was on! I went as hard as I could but I fully admit I'm not as fast at night and Bike Street had their best rider on the course. He caught me about half way through the lap and I couldn't keep up. I tried to minimize damages and came through with about a 50 second deficit. They took a gamble and kept him out for a second lap and Eric Norris would be our anchor. It was up to him to bump us up a spot the podium. He ALMOST pulled it off and had a faster 2nd lap than Bike Street who slowed on the final lap, but was about 10 seconds back at the end. It was amazing the excitement of being still so close after nearly 12 hours of racing!! We finished in 3rd place on the day with 18 laps completed, exhausted, but thrilled with he podium spot. While Bike Street gave us a battle, we want to congratulate the Juniors from Team BAMF that absolutely crushed the Base class with 19 laps! Those kids are fast!! Great job guys! It was an exciting event for everyone and Gone Riding knows how to run an event like this with no issues the entire day. We also wanted to congratulate new riders from Team Bike Tech Jennifer Moos for her 12 Hour Solo Female win and Vic and Eddie for taking 2nd in the 12 Hour 2-Man Sport class. Bike Tech was great with the support as usual and we definitely had a comfortable pit area thanks to them. We'll be back in XC action in two weeks with CC #4 back at Amelia. Enjoy some of the pictures below and thanks for reading!